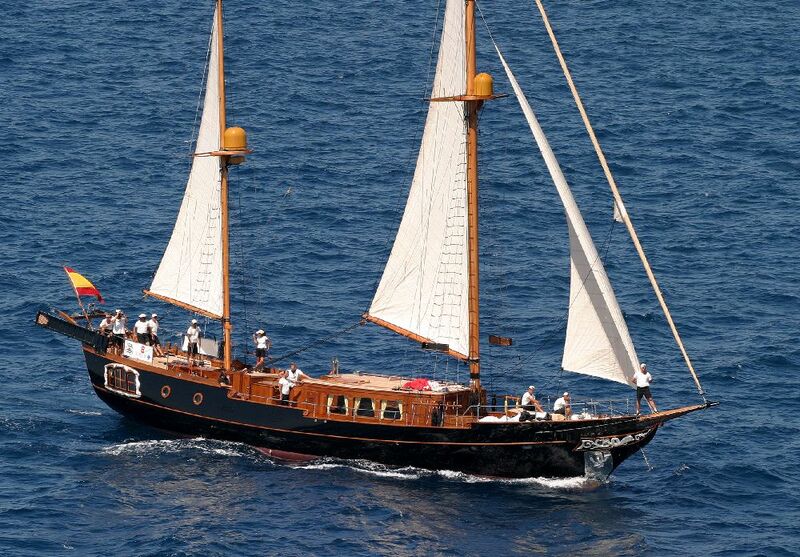 Built by Abeking & Rasmussen in 1953, the 28m (91.10ft) ketch rigged sailing yacht DOLPHIN, received a complete refit in 2010. 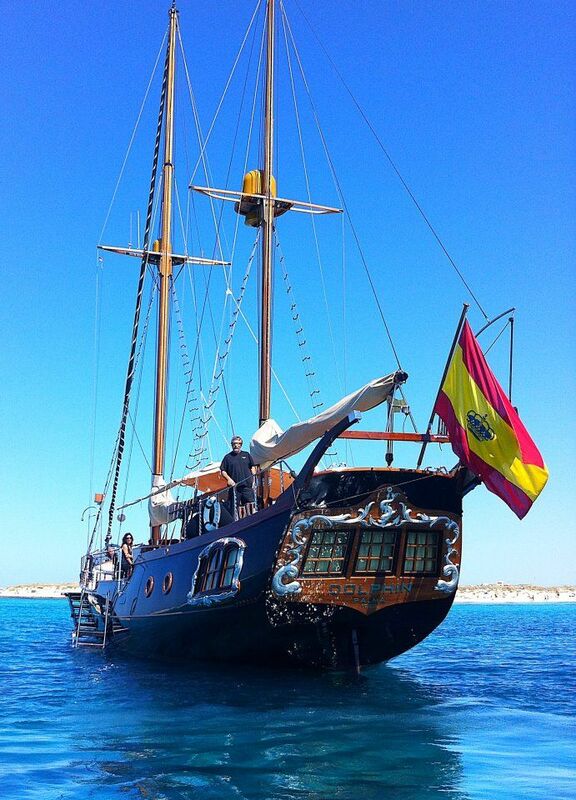 The yachts unique historical style, combined with today’s technology, provides and unforgettable and luxurious charter experience. 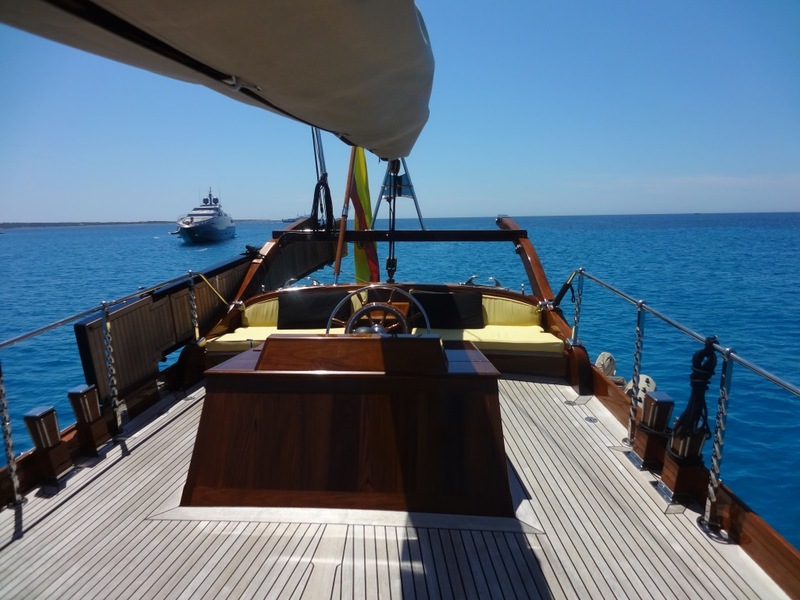 Offering accommodation in 3 en-suite cabins, for up to 6 guests, S/Y DOLPHIN is available for yacht charters in the Western Mediterranean’s idyllic Balearics Islands. 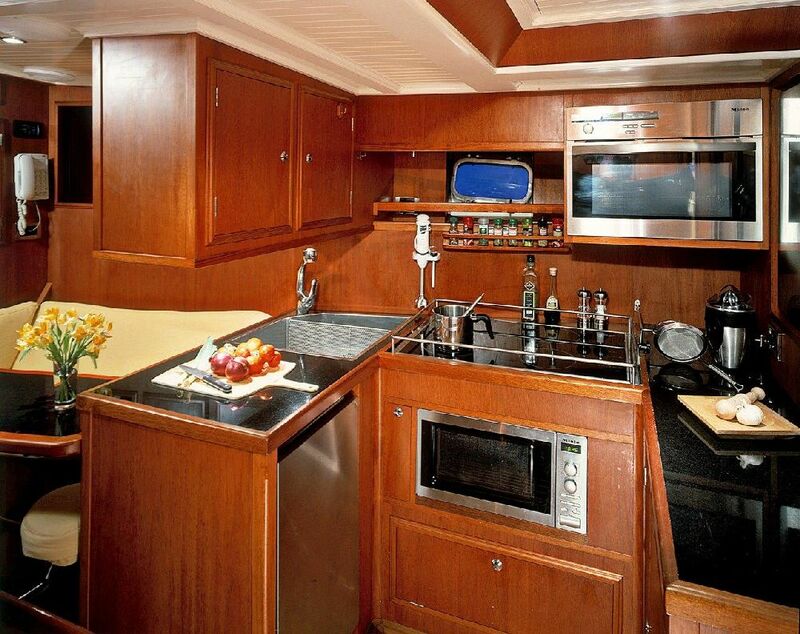 The interior aboard the crewed charter yacht DOLPHIN is contemporary and warm. The salon is in a raised position and enjoys surrounding panoramic windows for optimum natural light. A lounge boasts a U shaped sofa, table and full entertainment system, perfect for entertaining, relaxing and dining indoors. 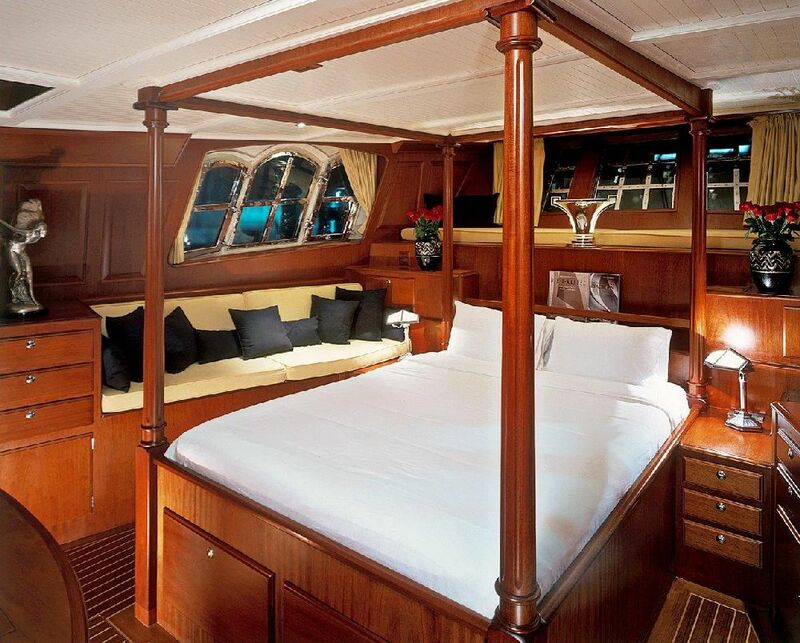 Overhead deck beams, teak and holly inlaid floors and rich wood panels create a timeless ambiance. 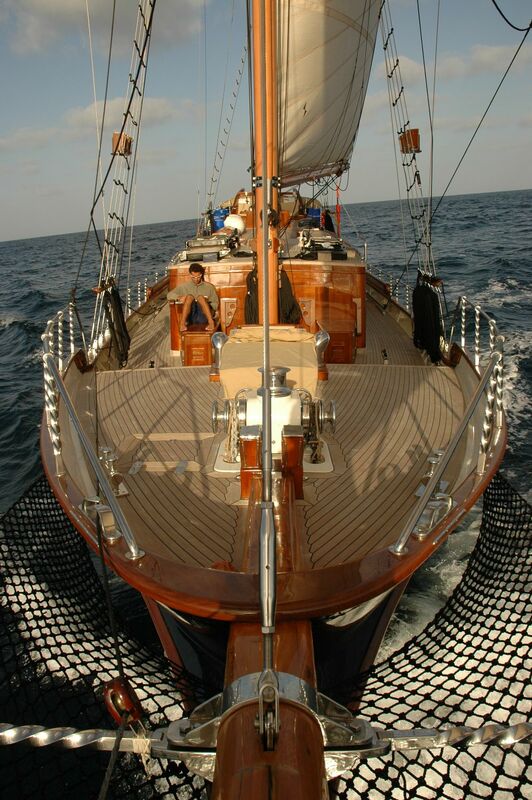 The DOLPHIN sailing yacht has a solid steel hull ensuring seaworthiness. 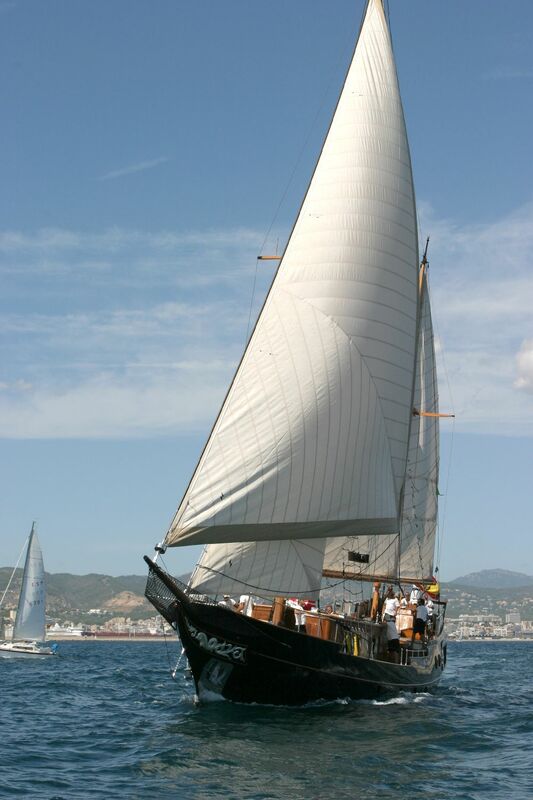 Her super structure, masts and booms are in wood, and her distinctive transom windows give her a unique personality. 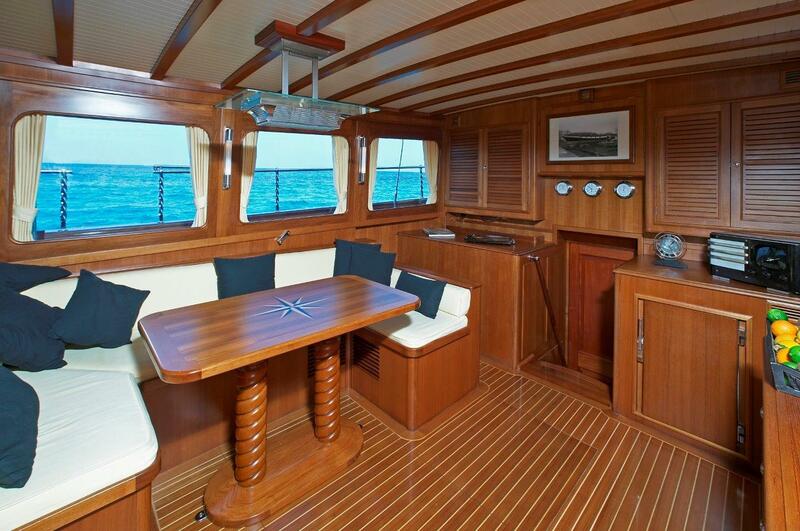 She also features fine teak decks with ample areas to enjoy and sun. 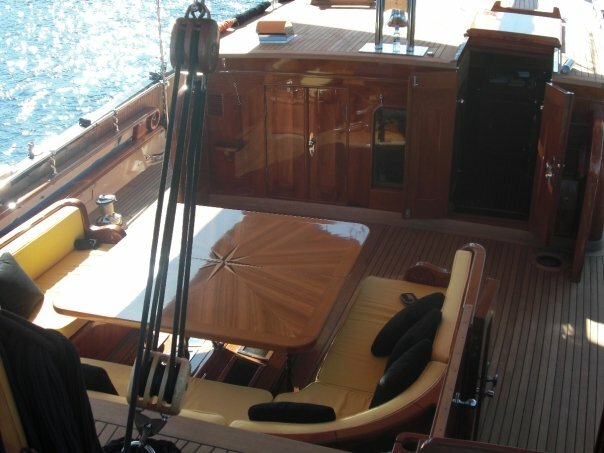 The aft deck offers an alfresco dining option with removable shade, followed by a raised aft deck, lightheartedly known as the ‘poop deck’, complete with a full beam seating area and stylish port windows, rarely seen on yachts today. 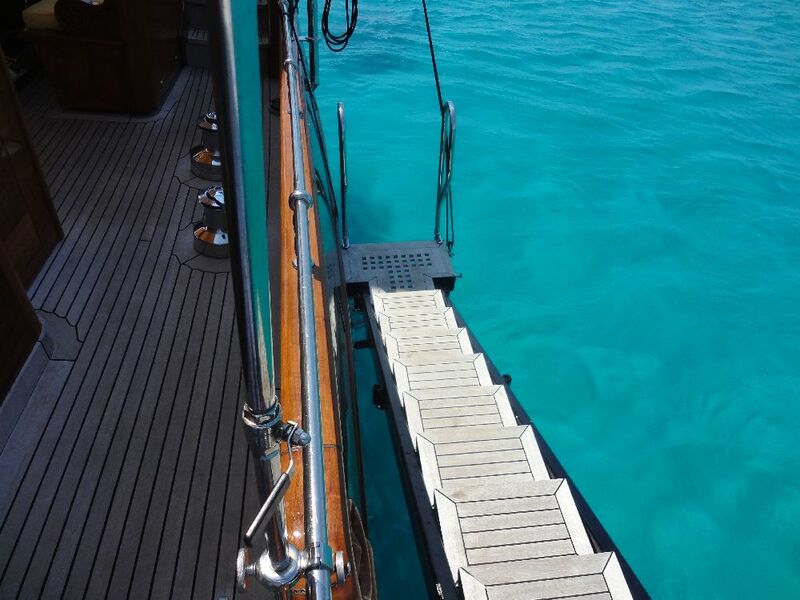 Forward, there is plenty of space to simply soak up the sunrays or watch the world go by. 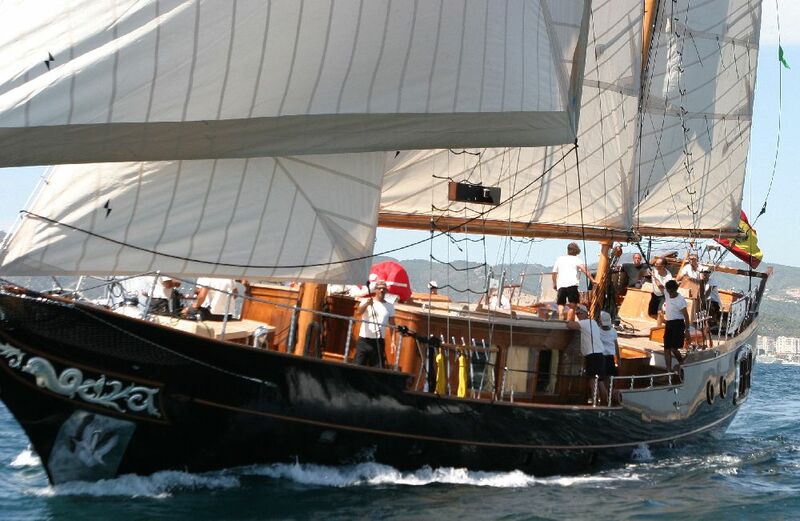 Powered by a 400hp MAN engine, the yacht DOLPHIN reaches effortless speeds of approximately 8 knots. DOLPHIN is fitted with under way stabilizers. 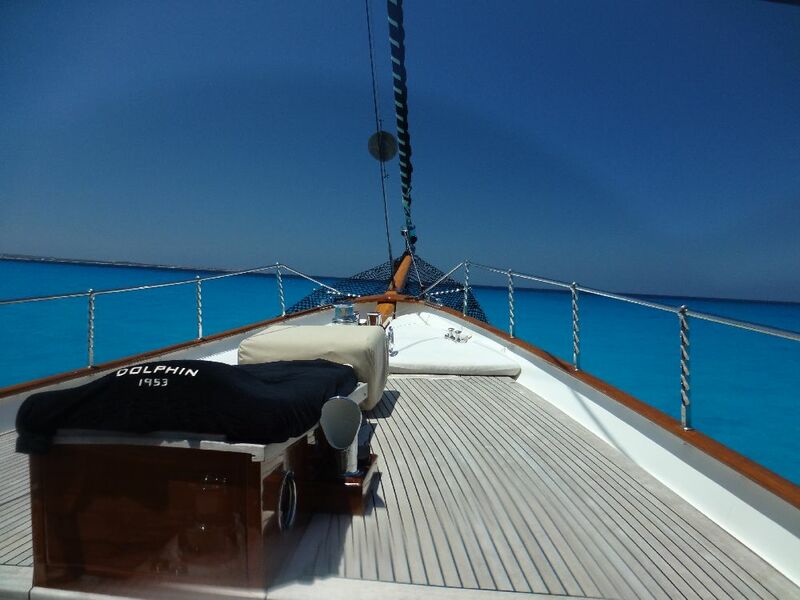 Spanish crewed charter yacht DOLPHIN offers accommodation in 3 spacious guest cabins, each with private en-suite facilities, air conditioning and full entertainment systems. 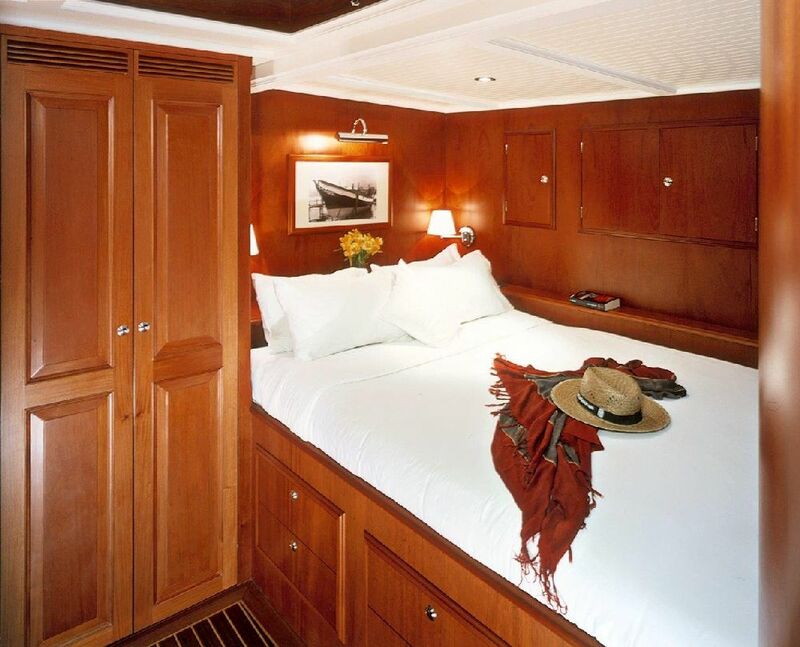 The master stateroom is aft and full beam of the yacht, with a four poster king size bed, sofa and vanity. 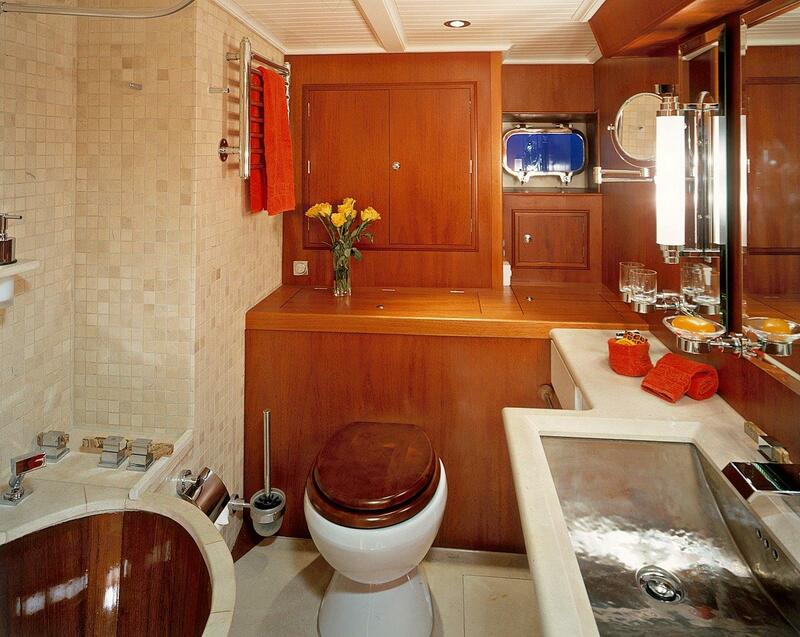 The master cabin boasts the traditional romantic port windows on port, starboard and aft of the cabin. 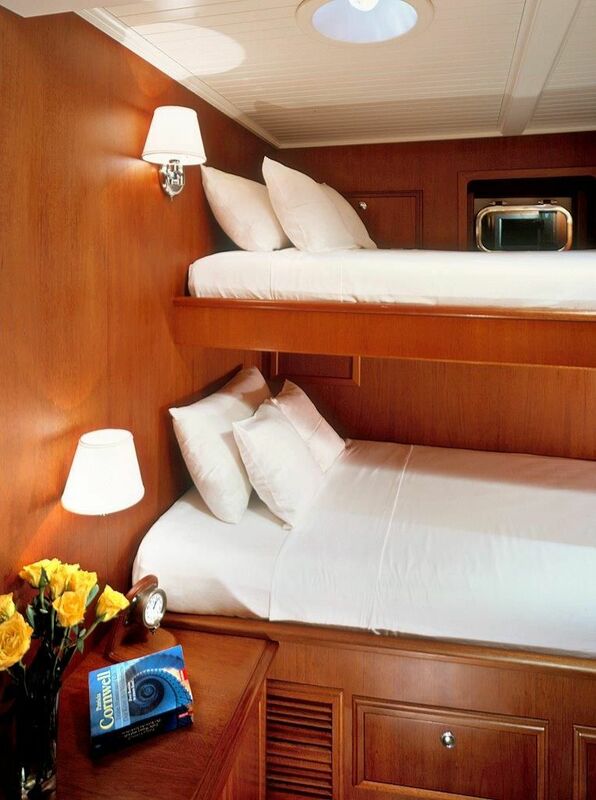 The VIP cabin offers a queen size bed, while a further guest cabin offers upper and lower single beds. 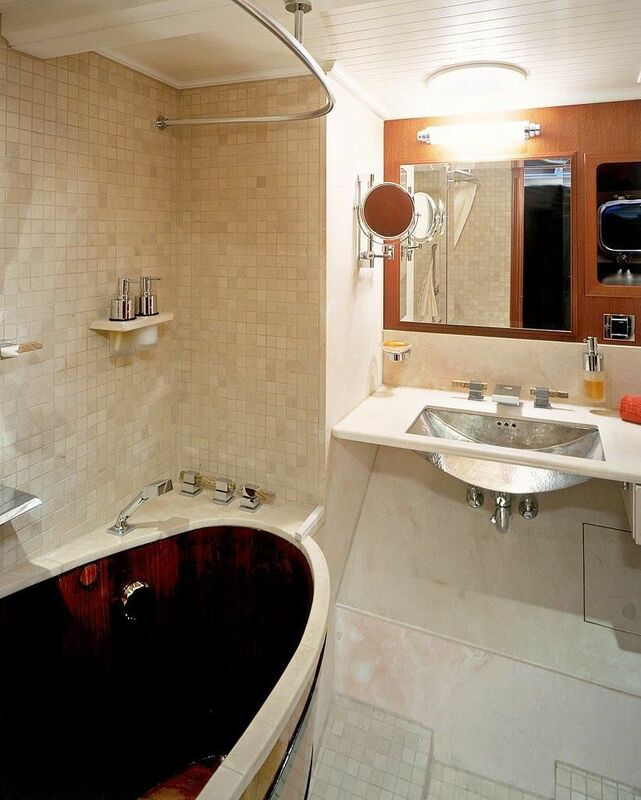 A professional crew of 4 has separate quarters, accessed from a private companion way forward on deck.